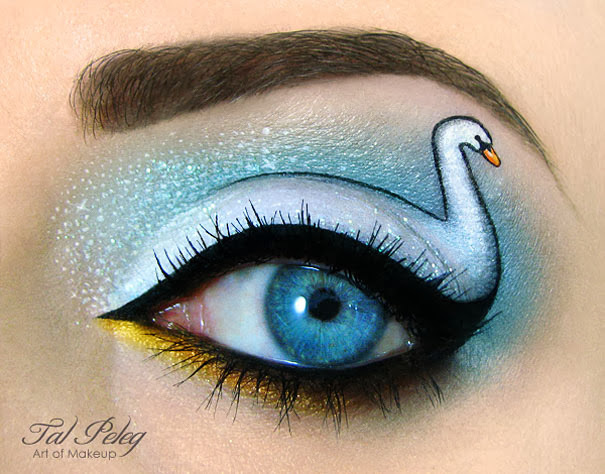 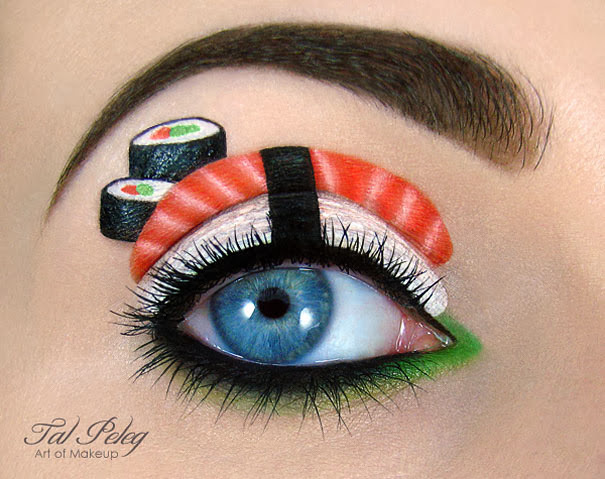 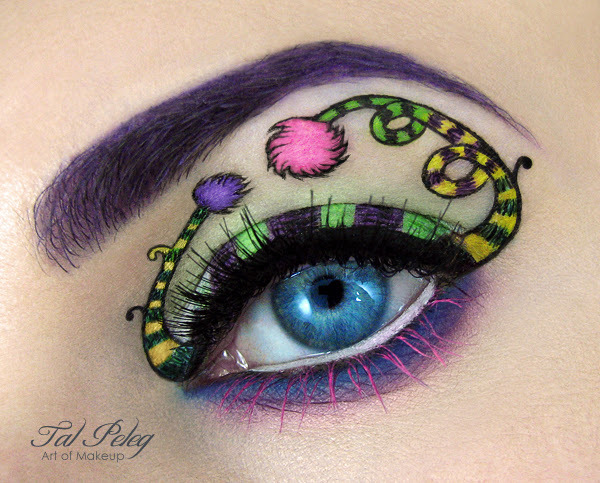 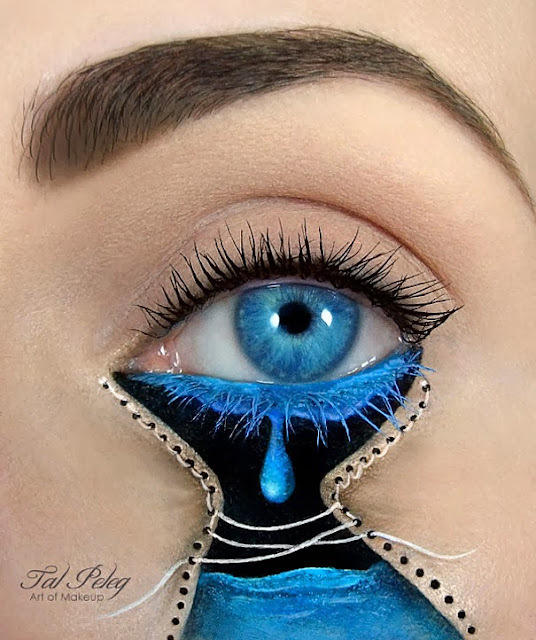 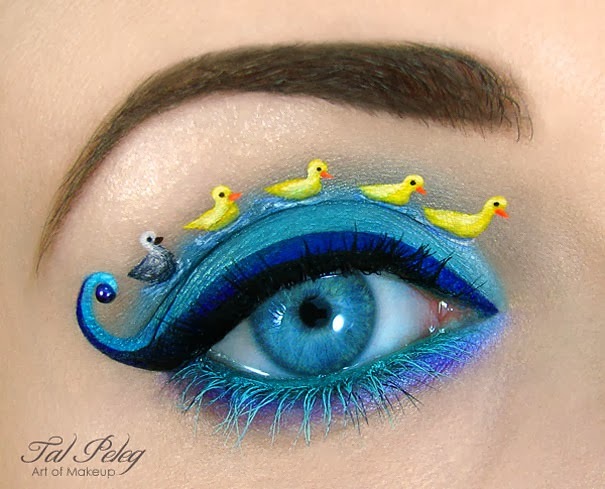 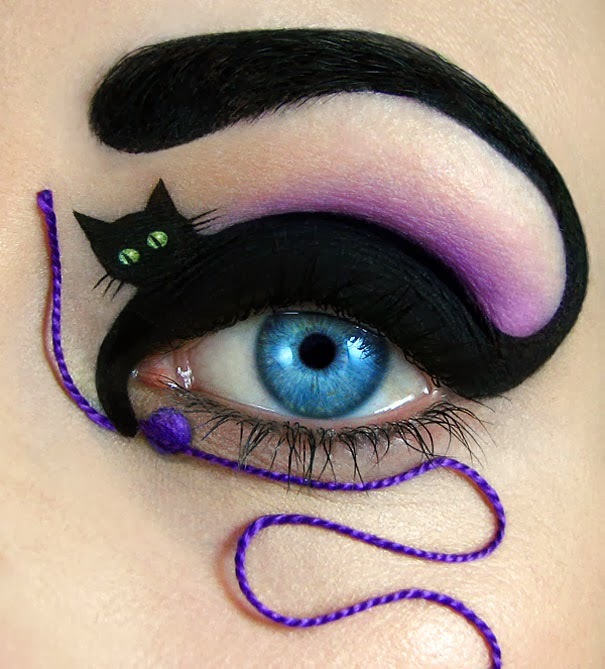 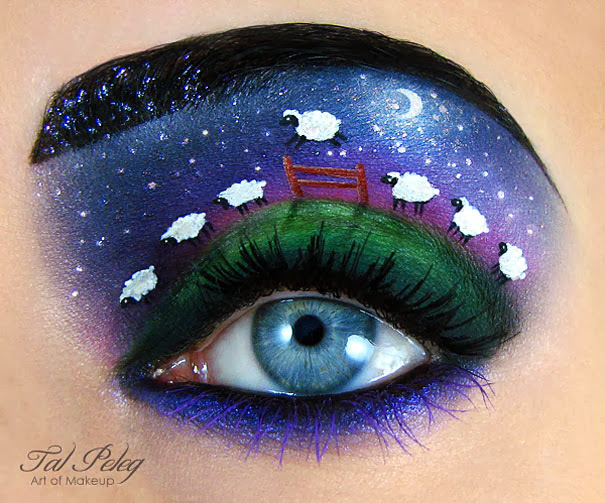 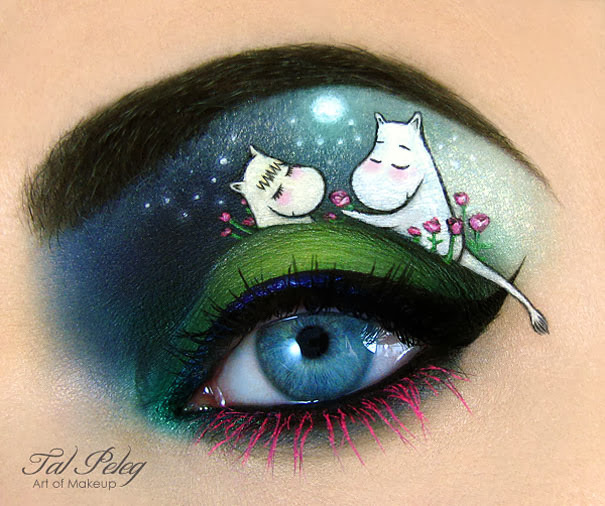 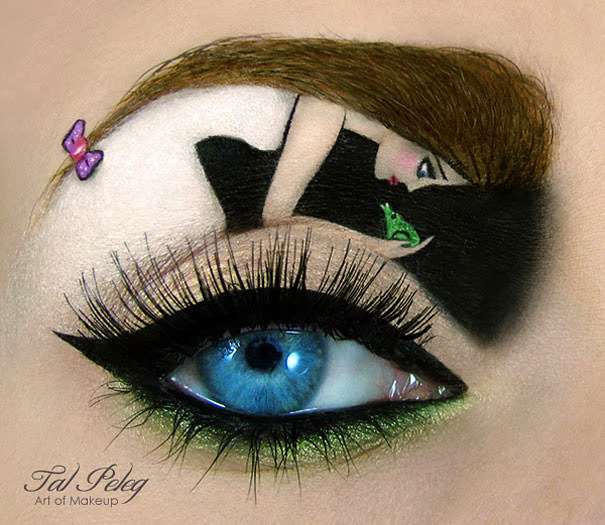 Israeli makeup artist Tal Peleg is on a mission to broaden our traditional understanding of this peculiar art form. 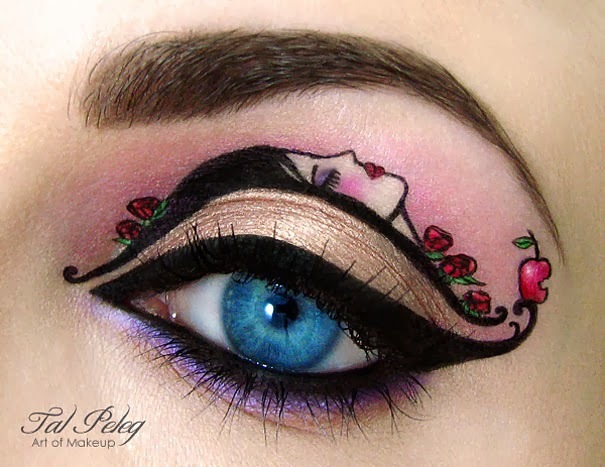 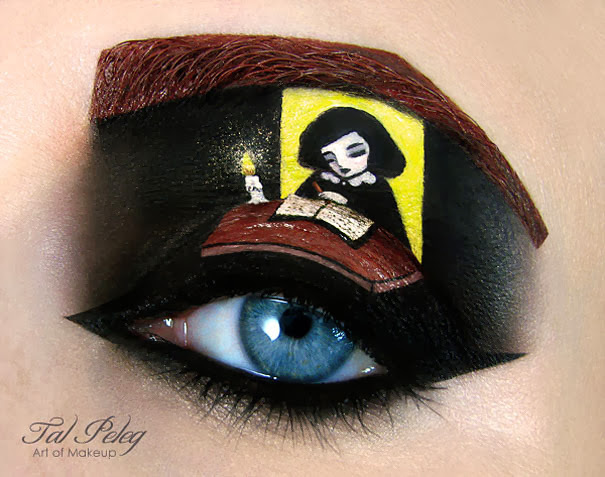 Peleg, aka Scarlet Moon, has a creative artistic approach to eye makeup and creates extraordinary themed pictures around the eyes using only basic makeup products such as eyeliner and multiple eyeshadow colours. 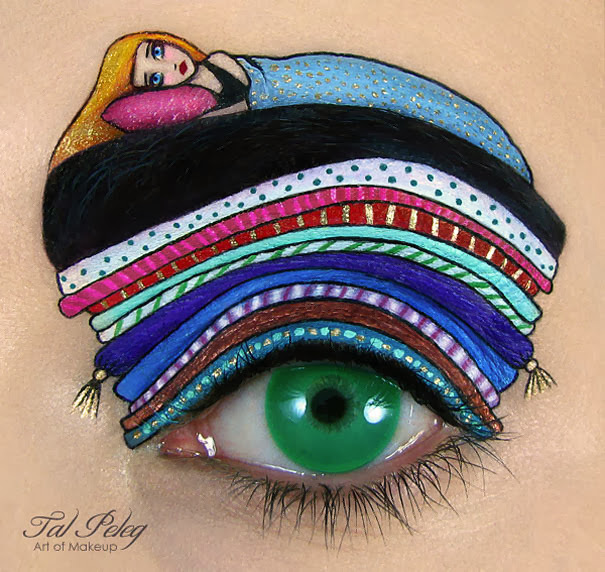 The artist uses various sources of inspiration, from fairy-tales and dreams to cultural movements and pop culture. 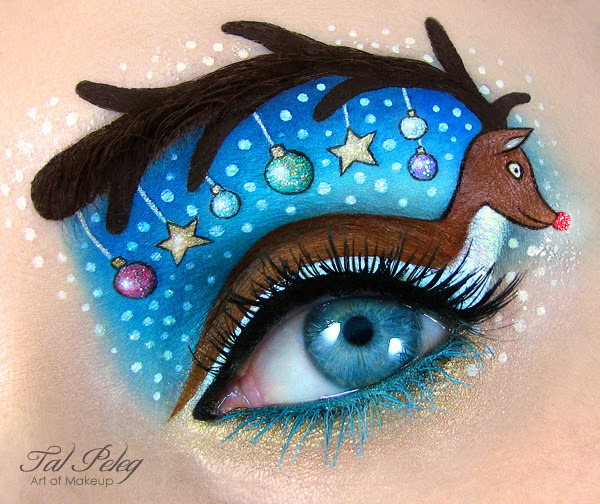 Quite an idea for an up-coming Christmas season party marathon, huh?